We offer positive film printing onto crystal clear acetate with opaque black ink that gives you a consistent exposure every time. Find our artwork submission guidelines here, and simply email or bring in your artwork for printing! ​Our Epson printer can print up to 17″ wide by as long as you need. Pricing is $1 per linear inch of acetate printed. Typical turnaround time is 1-2 business days, rush service available. We offer screen reclaiming and exposing services to clients with or without a studio pass. 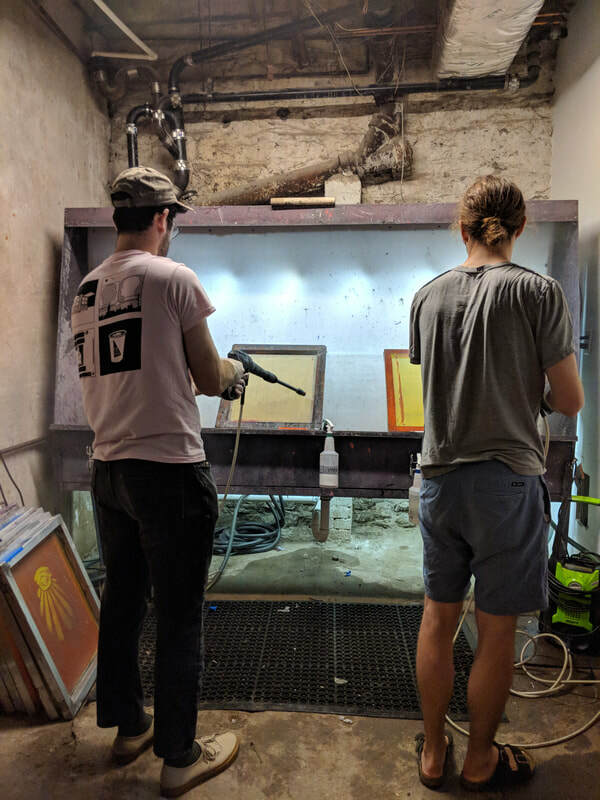 You may rent or buy a screen from us, or bring in your own to be cleaned, coated, and burned. ​Expect a turnaround of 2-3 business days for our exposing and reclaiming services. Add $25 rush-fee for guaranteed 1 day turnaround.